We built the most standards-compliant browser on the planet. Unfortunately the Web wasn't built for one standard browser. 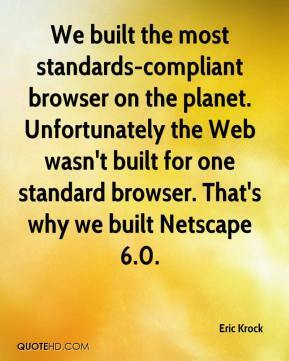 That's why we built Netscape 6.0. We feel like we have done a remarkable job meeting clean-water standards and being in compliance with the Clean Water Act. 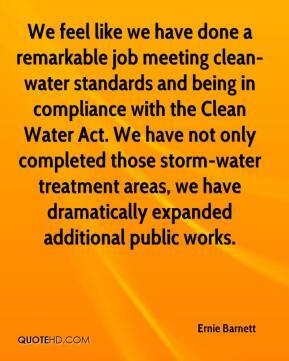 We have not only completed those storm-water treatment areas, we have dramatically expanded additional public works. 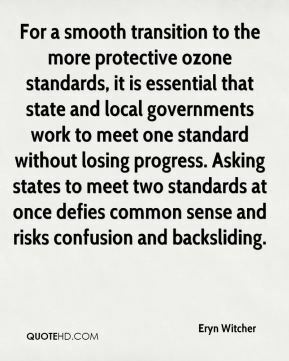 For a smooth transition to the more protective ozone standards, it is essential that state and local governments work to meet one standard without losing progress. Asking states to meet two standards at once defies common sense and risks confusion and backsliding. The Tel Aviv and Jerusalem clubs are big even by global standards. 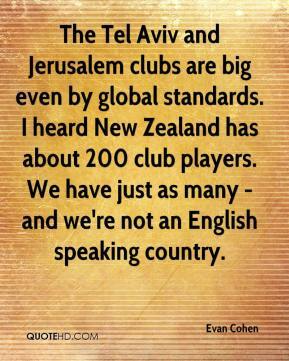 I heard New Zealand has about 200 club players. We have just as many - and we're not an English speaking country. 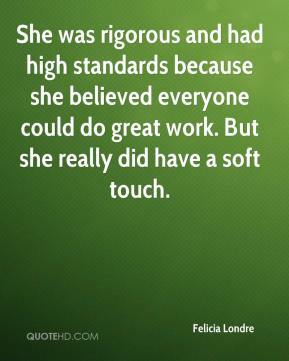 She was rigorous and had high standards because she believed everyone could do great work. But she really did have a soft touch. We were drawn to the Colts organization because their leadership has the same high standards we embrace. 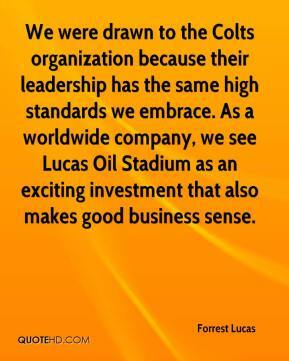 As a worldwide company, we see Lucas Oil Stadium as an exciting investment that also makes good business sense. Most of the standards being developed now have to do with interoperability. Think of the phone jack in your wall. Every phone jack is the same shape. 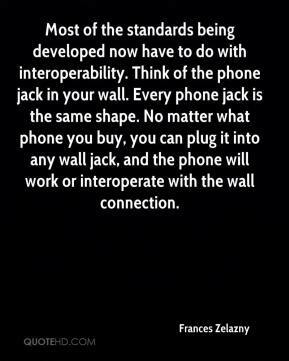 No matter what phone you buy, you can plug it into any wall jack, and the phone will work or interoperate with the wall connection. 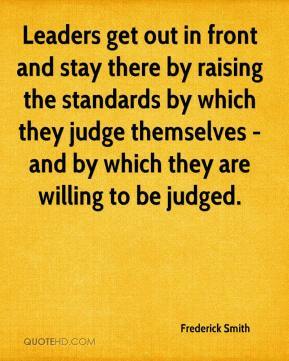 Give us one person to go to, one person in charge, and we'll go to them and meet the standards. 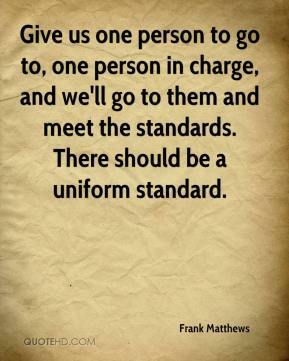 There should be a uniform standard. 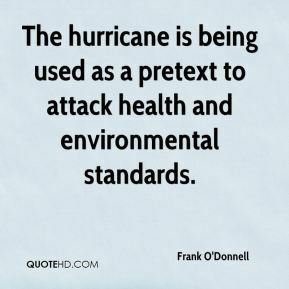 The hurricane is being used as a pretext to attack health and environmental standards. 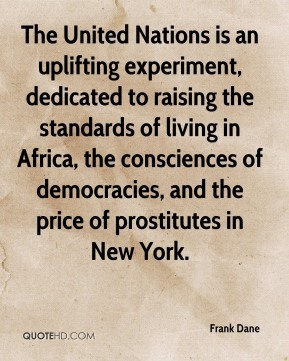 The United Nations is an uplifting experiment, dedicated to raising the standards of living in Africa, the consciences of democracies, and the price of prostitutes in New York. 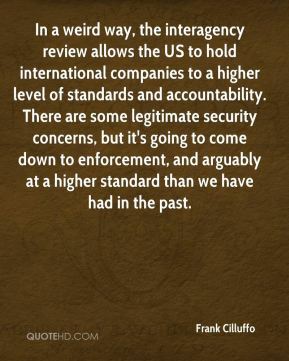 In a weird way, the interagency review allows the US to hold international companies to a higher level of standards and accountability. There are some legitimate security concerns, but it's going to come down to enforcement, and arguably at a higher standard than we have had in the past. 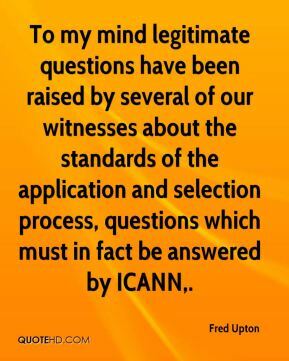 To my mind legitimate questions have been raised by several of our witnesses about the standards of the application and selection process, questions which must in fact be answered by ICANN. 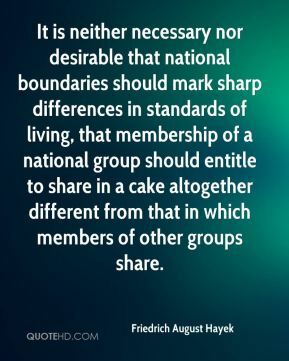 It is neither necessary nor desirable that national boundaries should mark sharp differences in standards of living, that membership of a national group should entitle to share in a cake altogether different from that in which members of other groups share. 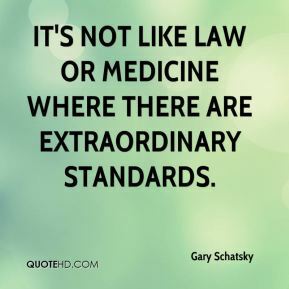 It's not like law or medicine where there are extraordinary standards. 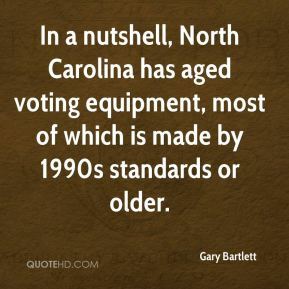 In a nutshell, North Carolina has aged voting equipment, most of which is made by 1990s standards or older. 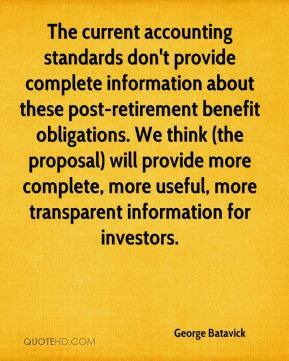 The current accounting standards don't provide complete information about these post-retirement benefit obligations. We think (the proposal) will provide more complete, more useful, more transparent information for investors. We should cease to talk about vague and unreal objectives such as human rights, the raising of the living standards, and democratization. The day is not far off when we are going to have to deal in straight power concepts. 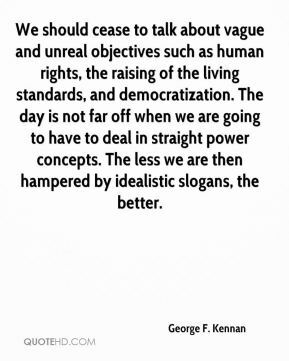 The less we are then hampered by idealistic slogans, the better. 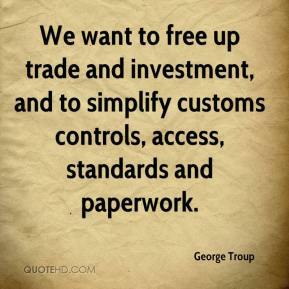 We want to free up trade and investment, and to simplify customs controls, access, standards and paperwork. It's kind of funny what they've done. 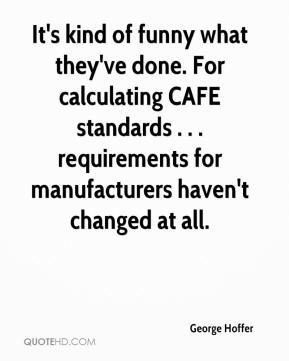 For calculating CAFE standards . . . requirements for manufacturers haven't changed at all. 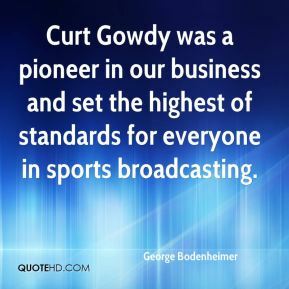 Curt Gowdy was a pioneer in our business and set the highest of standards for everyone in sports broadcasting. 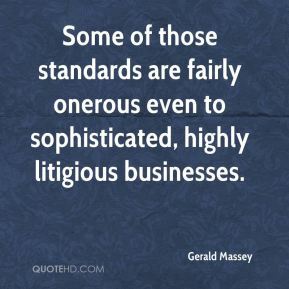 Some of those standards are fairly onerous even to sophisticated, highly litigious businesses. 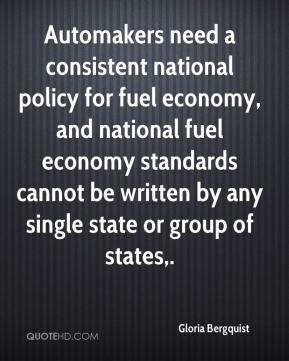 Automakers need a consistent national policy for fuel economy, and national fuel economy standards cannot be written by any single state or group of states. The U.S. has violated certain standards in its fight against terror. 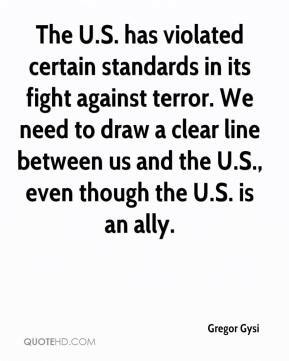 We need to draw a clear line between us and the U.S., even though the U.S. is an ally. 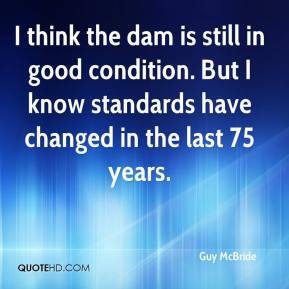 I think the dam is still in good condition. But I know standards have changed in the last 75 years.